Years back, had an AC/DC machine. Buddy borrowed and burnt it up welding in stanchions. Little 110 mig is all I have now. Thinking of getting another used AC/DC machine for heavier weld jobs that pop up. I always liked using DC better than AC. For me, it was easier, dunno. Doesn`t DC draw the rod to the part? What determines whether you use AC or DC when you weld? Signed, a guy who struggles/hates to weld. A ''DC'' motor driven unit beats a 240 volt plug in hands down. We had a Century AC/DC and I welded many boxes of rods with that welder . I just got my 2 nd new welder last fall , it's a Miller wire feed , heck of a good welder . 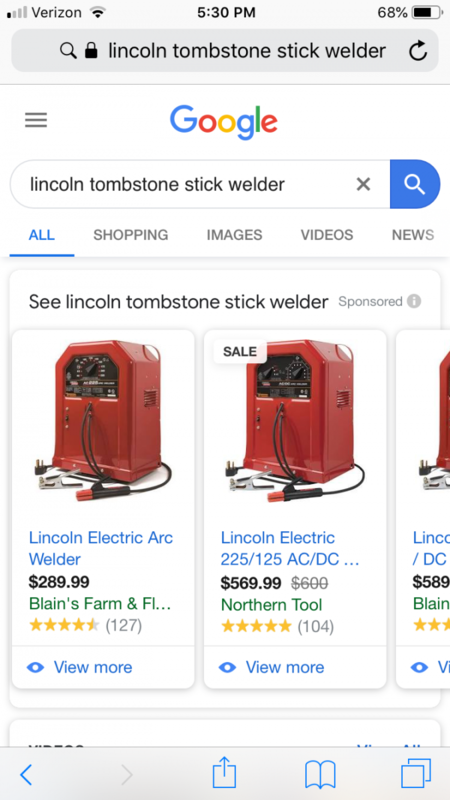 Here is about the cheapest quality welder you can get. The Lincoln tombstone. We have both a AC and AcDc sitting here took many hours to burn them out. For the money and simplicity you can’t beat them. The Ac welder and the AC/DC still work but I think one setting is burnt out in both of them. Those welders got used a lot here on the farm. When I previously had only an AC welder it was pretty difficult to get any 7018 rods that would work ok even when they said AC on the rod. While I'm no professional i do consider myself a good and knowledgeable welder. The Lincoln tombstone or buzz box is one of the best ac machines you can buy in my opinion, try to find one at an auction of garage sale if you can, the older ones just seem to weld better. 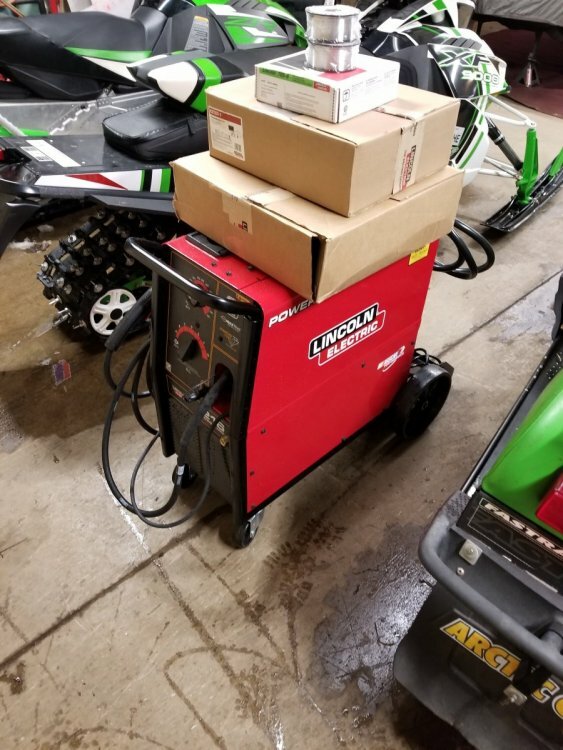 If I have access to it I will use dc over ac any time, it is just more controllable and I seem to weld better in all positions. The old Lincoln ideal arc is one of the best dc welders you can get that plug into an outlet. If you can find them the Lincoln sa200 is the same welder, just engine driven, it has one of the smoothest arcs you will ever run in my opinion. Honestly mark if your going stick welder i would try to find a nice older used lincoln. The older ones are of higher quality copper windings. Like danny said the new miller wire feeds are nice too. 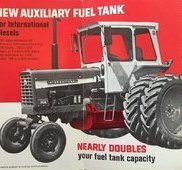 When dad and grandpa farmed an old forney is what they welded with. It was a great machine. Thats likely the last welder grandpa used unless he welded last at our place. Still sits in the corner of the shop on dads homeplace. All the pictures of welders brings up what dads buddy said once. Years ago you couldn’t weld until after 6:30 at night or from 11 to 4. He said all the milk vacuum pumps and coolers running didn’t leave enough power for welders. Has to wait for all the chores to be done then you could weld. There are 7018's and 7018 AC's, the regular 7018 just don't work well on AC. But i agree that the 7018AC doesn't seem to work well on "buzzboxes" but is ok on a Miller Bobcat (experience). Priimarily used 7018's for vertical up welding only. The 7014 worked the best in most positions on either AC or DC. We used a lot of 80T AC plus as a go to rod for Lincoln AC boxes to the larger gas powered Millers or Lincoln Rangers.I'd go with a AC /DC lincoln and 7014's for general all purpose welding when needed. Use mostly 7014 on Lincoln Tombstone I bought right out of high school. 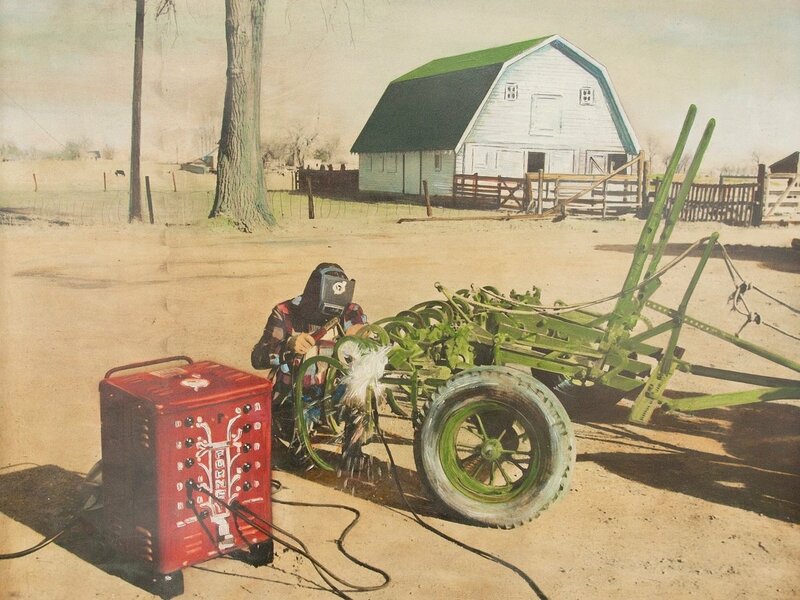 1968 been a good welder for a part timer. 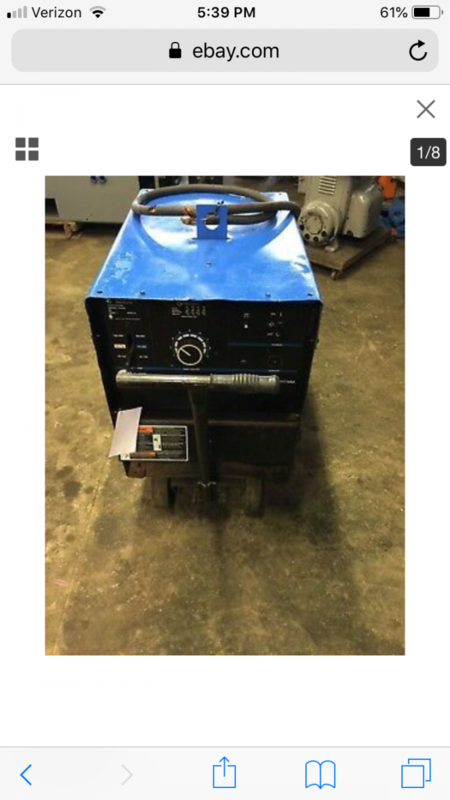 We got a big container of 7018s with the first 180 amp ac Smith Roles welder in 1974. They were the most difficult rods to weld with. Striking , and holding, an arc was incredibly frustrating. I was so glad when we finished those 7018s. I've never welded with DC and have no clue what I am missing. Always got by fine with the AC stick. 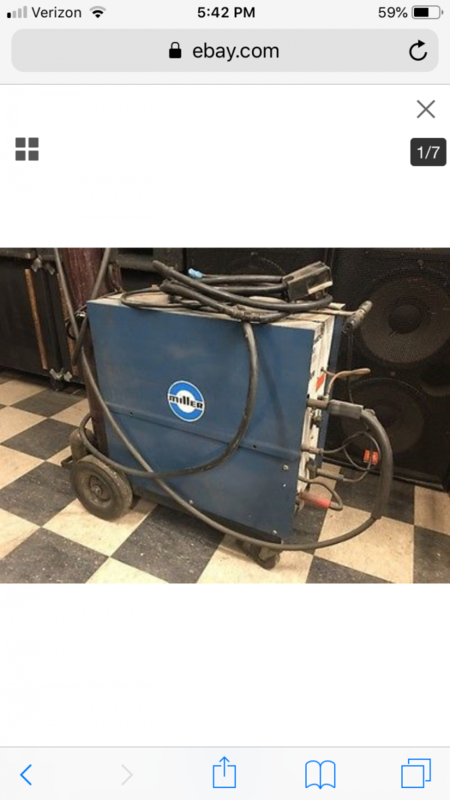 I bought a Lincoln 180 wire welder last winter in hopes of being able to weld some of my rusty old car bodies. Its good but I still have a lot to learn using it. So far I'm just using flux core wire as I don't want to mess with gas tanks etc. I should add that an old guy who helped give me a few pointers suggested I get 7018 rod as it it was the best overall rod for me . Get said it was better to have too good of a rod then to just use 6010 or 6013 where I needed the strength of 7018. Have the 500 amp Millar at home in the W/Shop...only way to go ! !